During the Second World War, Marion Bienes (1925) was a victim under the regime of Nazi Germany. 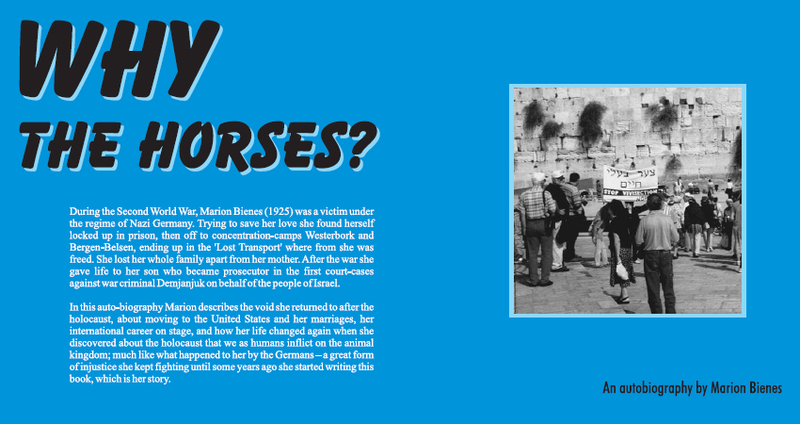 Trying to save her love she found herself locked up in prison, then off to transit-camp Westerbork and then concentration-camp Bergen-Belsen, ending up in the ‘Lost Transport’ where from she was freed. She lost her whole family apart from her mother. After the war she gave life to her son who became prosecutor in the first court-cases against war criminal Ivan Demjanjuk on behalf of the people of Israel in 1987-1988. 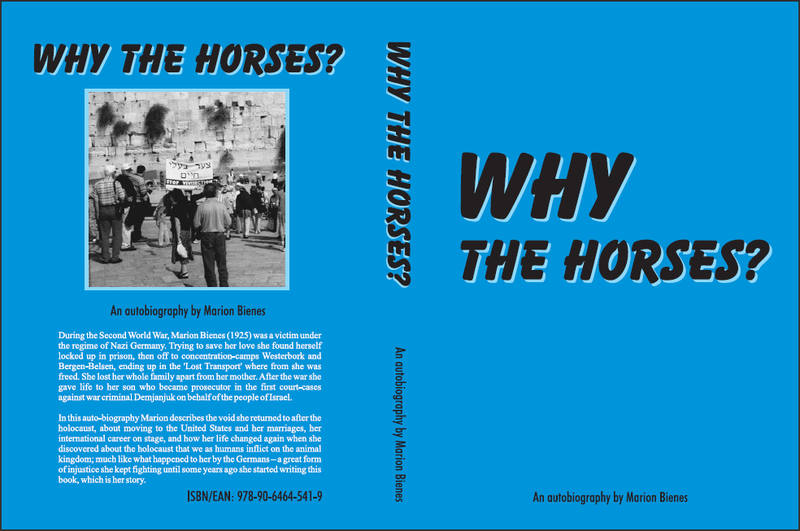 In this auto-biography Marion describes the void she returned to after the holocaust, about moving to the United States and her marriages, her international career on stage, and how her life changed again when she discovered about the holocaust that we as humans inflict on the animal kingdom; much like what happened to her by the Germans – a great form of injustice she kept fighting until some years ago she started writing this book, which is her story. 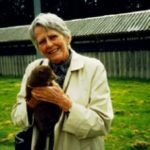 Fighting against cruelty to animals Marion locked herself up in a cage worldwide to tell people about the plight of animals in vivisection, and founded the (Dutch) Foundation for the Abolition of Vivisection (SAD). Marion currently lives with her son in Jerusalem, Israel. "Do not go gentle into that good night" is a poem by Dylan Thomas. Originally published in the journal Botteghe Oscure in 1951, it also appeared as part of the collection "In Country Sleep." Working together was fun and I hope we can work together more in the same productive and fruitful way we did for Marion.